The love and spark in their marriage are definitely still going strong. 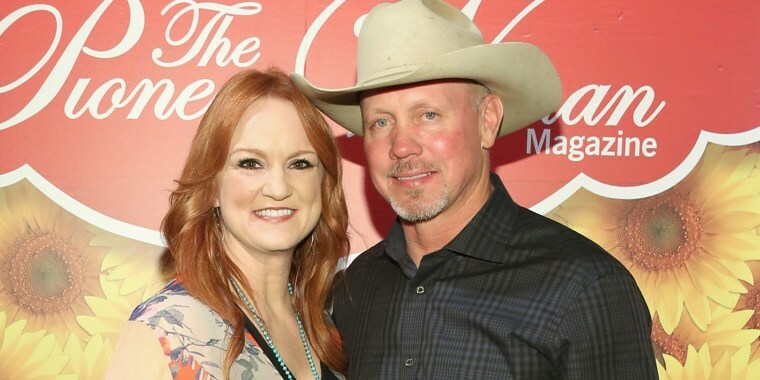 "The Pioneer Woman" Ree Drummond and her husband, Ladd, may have forgotten to celebrate their wedding anniversary in September, but the love and spark in their marriage are definitely still going strong. On Friday, Ree posted a photo of her cowboy husband on Instagram, along with a super-sweet message about how proud she is of him and how he recently made her get all choked up. In the post, Ree revealed that she had been inducted into the Oklahoma Hall of Fame on Nov. 14, which is a great honor. "I was even more honored that the person who introduced me during the ceremony was Ladd, who is neither a public speaker nor comfortable on stage, but who knew how much it meant to me for him to do this," Ree wrote. Ladd's speech about her at the ceremony blew her away. In fact, it was so moving that Ree wrote, "I got a lump in my throat watching him backstage because I was so darn proud of him." After his introduction, Ree came on the stage to accept her award. She was glowing from his loving words and looked dazzling in a long black cut-out dress and sparkling black shawl. Dressed in a black tuxedo and bow tie, Ladd looked very sharp, too. He's usually photographed in a flannel shirt, jeans and a cowboy hat, so this was a big sartorial moment for him. Ree took note of his outfit, too. "He hasn't worn a tux since our wedding day," she wrote. Ree often mentions that she thinks her husband is a hunk in his everyday outfits. "Dang, you're a specimen," she captioned a photo of him last month in his casual attire. But she was still totally digging his black tie get up. "I'm thinking he should start wearing it to Monday night dinner," she wrote. "And Tuesday night dinner. And so on ..."